Fourth Project Newsletter: now out! Read our latest newsletter here! 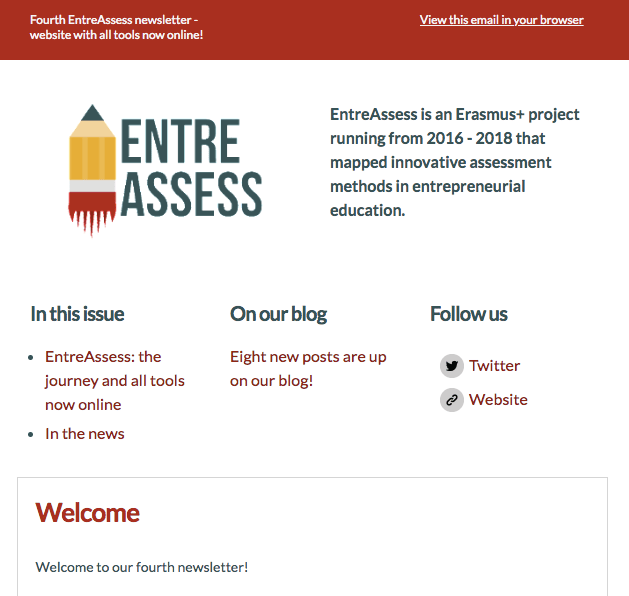 We’re giving you the run-down of all tools and resources that we made available for you as part of this project and lead you to take your first steps on the EntreAssess journey! Sign up for future newsletters here and find all past issues here!